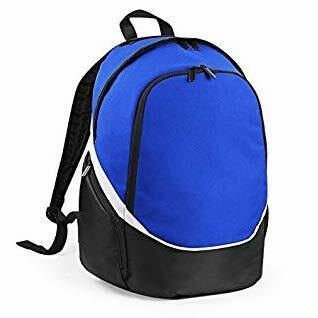 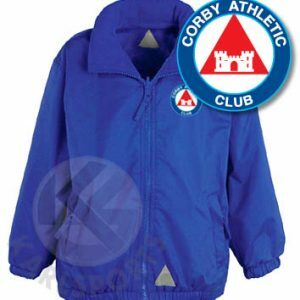 Royal blue Nike Knit Track Jacket with Corby AC logo embroidered to left chest. 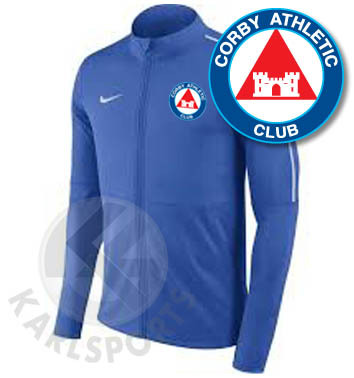 Nike Dry fabric wicks sweat to help you dry and comfortable. 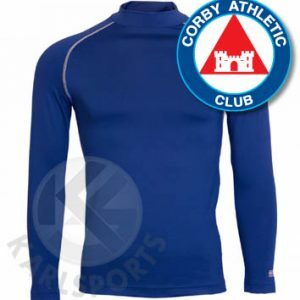 Stand up collar and dropped back hem provide comfortable coverage. 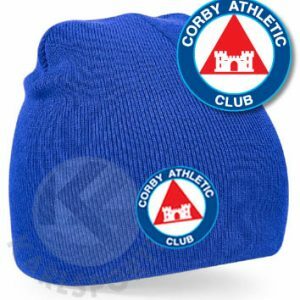 Royal blue knitted pull-on beanie hat with Corby AC badge embroidered to centre front.